Byron lived and went to school in Poynette. He was one of the “40-49ers” at the high school and went to the University of Wisconsin-Madison for a degree in Agriculture Education. Since part of his university experience was ROTC, the next phase of his life was the United States Army. He served his country in Virginia, Texas and Colorado. In 1953 he married his high-school sweetheart, Eleanor Curtis. They had three children. After his discharge Byron rented the Walters farm in Lowville. He milked cows and did general farming. Eventually, he bought the Walters farm and Franklin Bull farm. Through the years, Byron’s interests have been his church, his family and the farm. His hobbies were hunting, fishing, card playing, flying planes and singing. Byron was a member of Poynette Presbyterian Church where he had been a church Elder-Trustee and a member of the choir. He is survived by his wife of 66 years, Eleanor; his sons, Curt (Bev) and David (Jeannine); his daughter, Kathryn (Brian Lindner) all of Rio; his AFS daughter, Blanca Riveros, of Brooklyn, New York. Nine grandchildren and 15 great-grandchildren who brought joy to his life. He is further survived by other relatives and many friends. Byron was preceded in death by his parents, his sister, Barbara, and her husband, John Gardner. 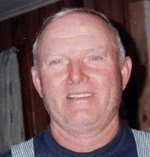 Funeral services will be held at 11:00 a.m., on Monday, April 15, 2019, at the Poynette Presbyterian Church, 224 N. Main St., in Poynette, with Rev. Paul Strickert officiating. Burial will follow in Rocky Run Cemetery. 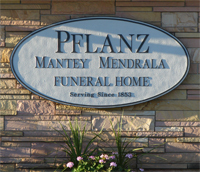 Visitation will be held from 4:00 p.m. until 7:00 p.m. on Sunday, April 14, 2019 at the Pflanz Mantey Mendrala Funeral Home in Poynette, and on Monday from 10:00 a.m. until 11:00 a.m. at the church.